As an innovative tech-startup we are always keen to be involved in exclusive award events. Within the start-up-initiative TechConnection the Fraunhofer IAIS was looking for pioneers in the field of Artificial Intelligence. GreenPocket was one step ahead at the start-up-day 'Artificial Intelligence' in Berlin as well as the TechConnection-Pitching-Day and managed to secure the collaboration with the Fraunhofer IIS/EAS. By impressing the judges of the FreeElectrons-Förderungsprogramms with a video pitch in the beginning of 2018, GreenPocket managed to stand its ground against 500 competitors from 65 countries and secured itself a place among the finalists. In the year 2017 GreenPocket got hold of one of the twenty sought-after places at the GermanAccelerator-Workshop. This gave us the opportunity to take part on a three-monthly workshop with professional coaching at Silicon Valley, USA. 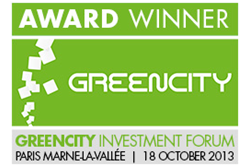 GreenPocket is one of the winners of the Greencity Investment Forum. Taking place in Paris the event sought to find the most promising and innovative start-ups in the green & smart city sector. GreenPocket was able to convince the judges, investors and industry experts of its smart energy software. GreenPocket took second place in the TreveriMarket start-up competition. Sponsored by TreveriMarket, Ernst & Young, Farvest and Europe 4 Startups, the competition was held for the first time in 2013 at ICT Spring Europe in Luxembourg. It honors the most interesting start-ups of the trade fair. 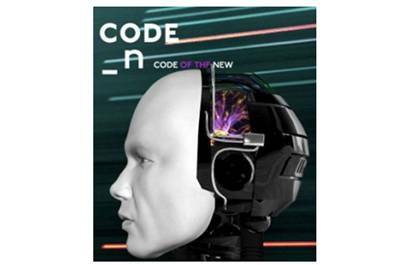 GreenPocket was one of the 50 finalists of the Code_n13 contest at CeBIT 2013. The contest – founded by by GFT, Ernst&Young and CeBIT – presented the digital pioneers in the areas of energy efficiency and management. The finalists came from 13 different countries and were able to present their products and solutions at the CeBIT trade fair. The economy magazine Wirtschaftswoche, Daimler and the organizers of NEXT Berlin, one of the leading European conferences for the digital industry, presented the top 100 influencers in the internet industry in Germany. GreenPocket's CEO Dr. Thomas Goette reached the 60th place and prevailed over entrepreneurs, such as Skype founder Morten Lund. At the European Smart Metering Awards 2012 GreenPocket was nominated in two categories. Chosen from more than 50 participating companies GreenPocket was ranked among the top three in the categories Smart Metering Service Provider Award and Innovation of the Year Award. The European Smart Metering Awards, Europe's most important award for the Smart Metering Industry, are part of the yearly Smart Metering UK & Europe Summit. 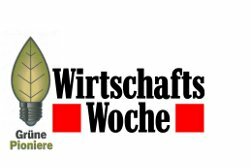 In the issue of 9th January 2012 the weekly magazine Wirtschaftswoche and Roland Berger Strategy Consultancy voted GreenPocket into the list of the top 30 most innovative Greentech start-up businesses in Germany. Only companies financed with venture capital who offer convincing innovations and business models for a green growth market reached the final round. 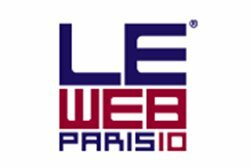 At the LeWeb 2010 conference in Paris – Europe's leading tech conference on all aspects of startups and internet innovations – GreenPocket, together with 16 other aspiring web businesses, was chosen as a finalist out of 400 applications. 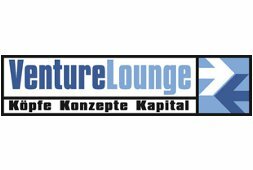 In February 2010, GreenPocket was chosen by Venture Lounge Bonn as the winner “due to the outstanding concept and compelling presentation of its business plan“.